We arrived at Raglan Road about a 1/2 hour before our 7:00 reservation, but this was not a problem. In fact, they seated us so quickly that my daughters barely got their feet into the door of the Raglan Road gift shop…thereby saving me a few dollars. I asked that we be seated in the main dining area where all the action takes place and my request was granted. By all the action, I of course mean the entertainment, which includes the Raglan Road Irish Dancers and their house band, Creel. I was so distracted by the wonderful entertainment (and taking pictures of them), that I completely forgot to take pictures of the menu. 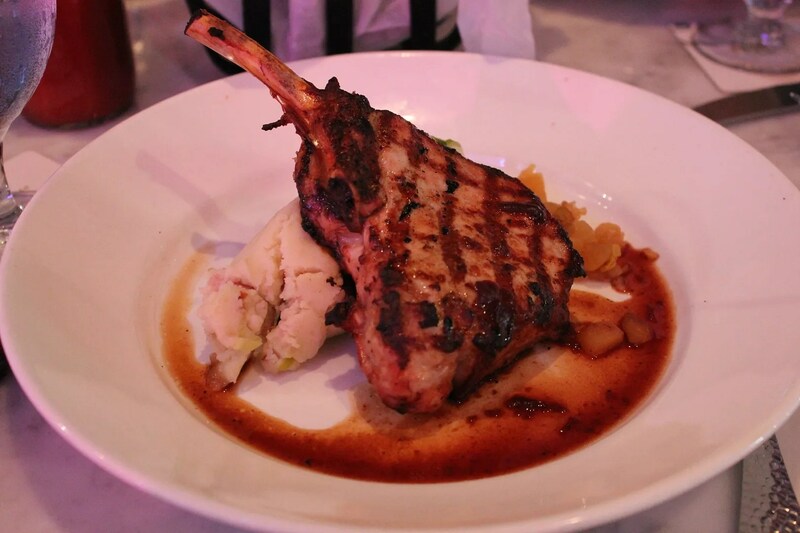 So here is a link to the dinner menu on the Raglan Road website. And speaking of their website, I learned many things about Raglan Road that I had not known before. 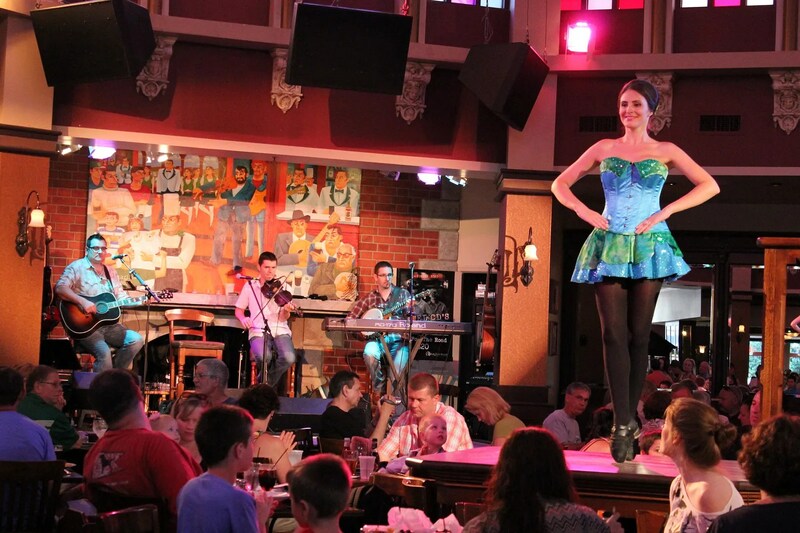 For instance, I discovered that Raglan Road is indeed a“TRUE” IRISH PUB. Its owners and chef (Kevin Dundon) are from Ireland, the band members and dancers are Irish-born, most of the furnishings were custom-made in Ireland, and even the four antique bars (which are each more than 130 years old) were imported from Ireland. 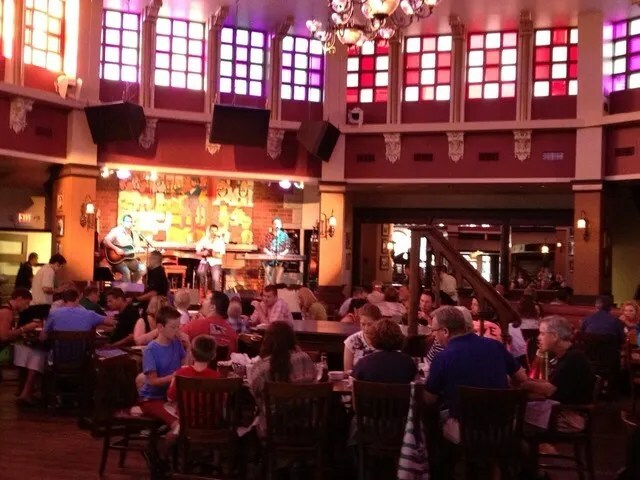 In fact, according to the website, “the bleedin’ building’s from Ireland.” “Built entirely in Ireland, shipped lock, stock & beer barrel to Downtown Disney.” So I doubt that you could find a more authentic Irish pub outside of the country of Ireland. She loved this and said that she was impressed by the generous amount of alcohol it contained. I know some people don’t like this bread, but I happen to really enjoy it. 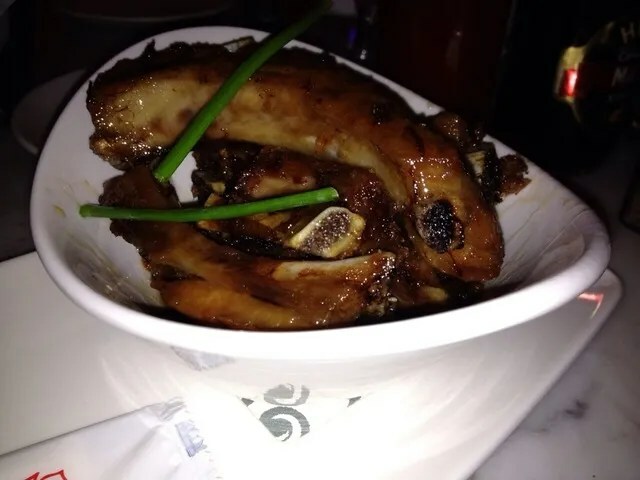 But only when it is dipped in the Guinness beer/brown sugar sauce that they serve with it. Yum! I think these are appropriately named because they were tender and delicious, covered with the same Guinness dipping sauce as was served with the bread I believe. Allison and I also shared an entree. Here is where I must admit that I too am very much a creature of habit because every time (including this one) I’ve been to Raglan Road I have always had this for my entree. Our server told us that Raglan Road flies their fish in from Boston daily so it is always very fresh. I apologize for not taking a better picture of this, one where you could actually see the portion size. Although there was just one piece of fish, it was large enough for the two of us to share, plus there were a lot of french fries to eat. 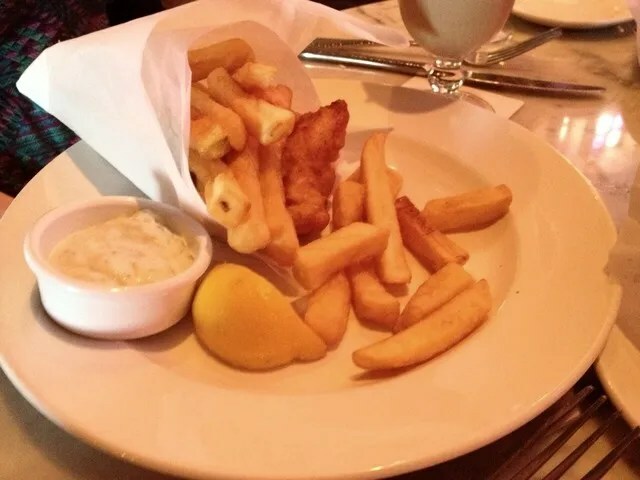 I’ve always really enjoyed the Fish & Chips here, so it would be really difficult for me to order anything else at Raglan Road. She said that this was good, but not nearly as good as the pork chop she had Le Cellier the day before. 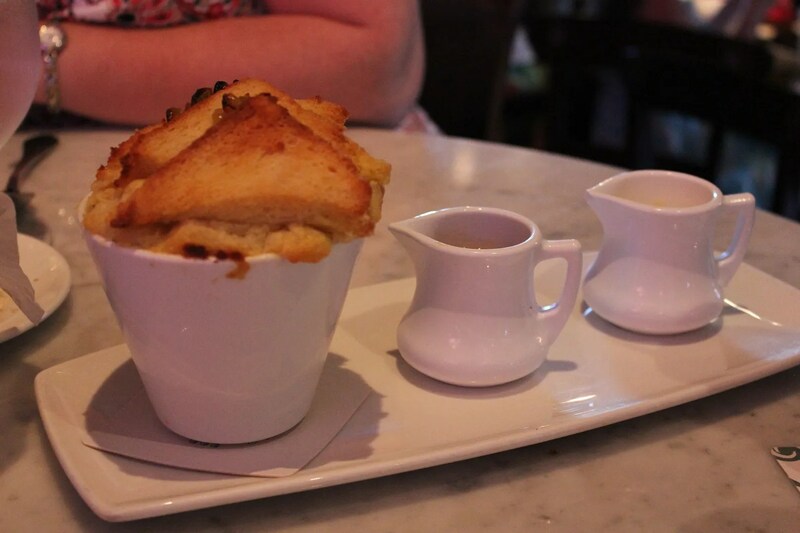 This is another must-have during each and every visit to Raglan Road and it was again delicious. The only bad thing about it is that it is so big and filling that even the two of us couldn’t finish it all. While reading through the ingredients for this, I had to chuckle when I saw that the raisins were to be soaked in Irish mist. I was wondering if this might be on the same order as the Raspberry air that is part of Le Cellier’s cheesecake dessert??? But then I found that Irish mist is actually an Irish Whiskey Liqueur. Ahhhh…that makes sense!!! After all, it seems that most of the food at Raglan Road has some form of alcohol involved…Guinness dipping sauce/marinade, beer-battered fish, port cider jus, etc. So why am I not surprised that their signature dessert has whiskey-soaked raisins. 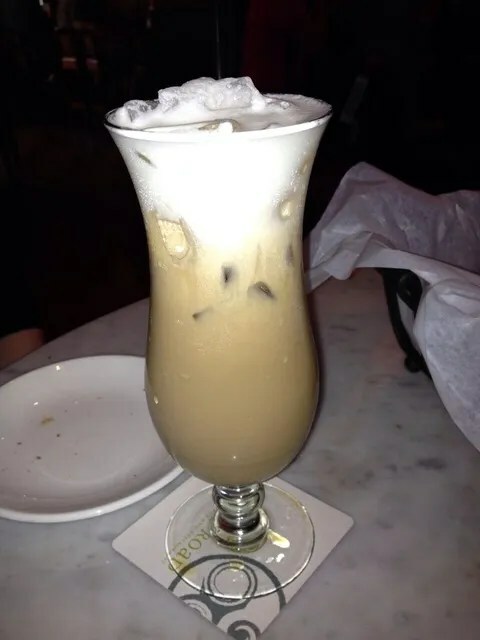 As far as I know though, Emily’s dessert did not contain any form of alcohol. She spotted this raspberry dessert on the menu and she was sold. 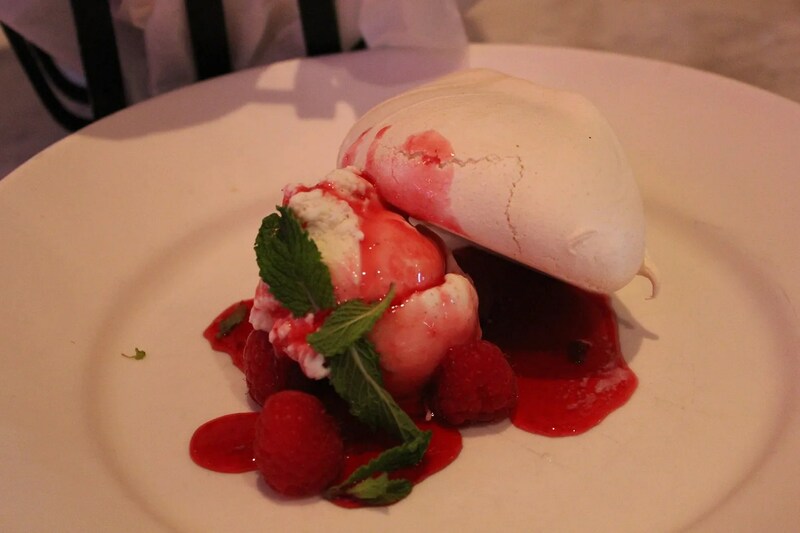 Now when she ordered this, she had no idea what pavlova was but with the dessert having “raspberry” listed twice in the description she figured it had to be good. Well, I guess she figured wrong because she gave this only an “Okay” rating. It turns out that she is not a fan of pavlova, which (just in case you too are not familiar with) is a meringue dessert with a crisp and crunchy outer shell, and a soft, moist marshmallow-like center.